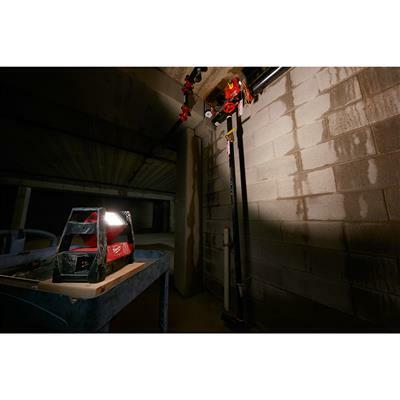 2X Brighter, Maximum Versatility – The New TRUEVIEW M18 LED HP Flood Light is designed to give professionals a portable area lighting solution that replaces 500W Halogen Flood Lights and adapts, performs, and survives industrial use. The 2360-20 is the industry’s brightest 18V LED flood light, and it is up to 20% brighter than 500W Halogen Flood Lights. 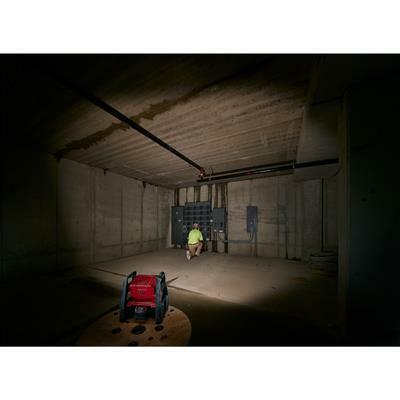 Capable of filling large areas with light, it provides 3,000 lumens of high definition light output for in its high mode, 1,500 in medium and 650 in low, and it can run for up to 2, 4, or 9 hours with an M18 REDLITHIUM XC 5.0 Battery Pack. In addition to running off of M18 batteries, it can run off of an AC cord for all day applications. 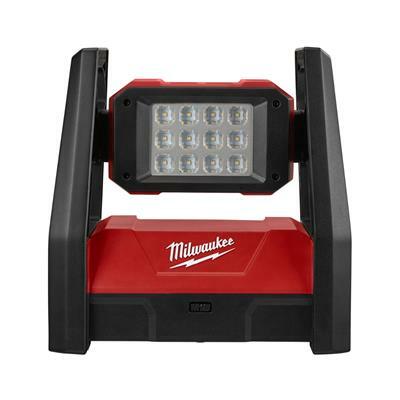 It uses high quality LEDs with a neutral white color and a high color rendering index paired with a Milwaukee® designed reflector to produce an even beam pattern. Its head rotates 240° to direct light where it is needed, and there are 3 keyholes in its base for hanging in multiple orientations. Its compact footprint and integrated carry handles allow for easy transport or storage in bags, on carts, or in job boxes. This light stands up to the toughest working conditions, through its durable roll cage design and impact-resistant lens and bezel. 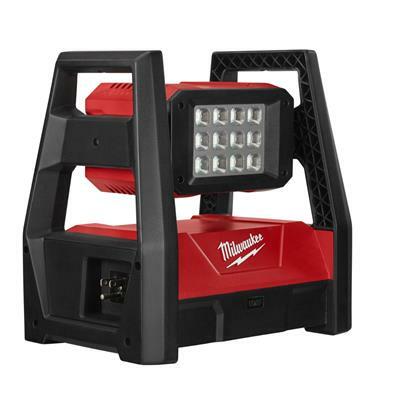 It offers significant advantages over halogen work lights with superior impact durability and temperature management, and its LEDs never need to be replaced, and are backed by a limited lifetime warranty.